A native of Beijing, China, Theresa Shen grew her PR career from a small agency all the way to a large international agency before landing on the client side. Today, she handles PR and Communications for Criteo across 12 countries while still leaving time for family and creative hobbies. This week, we chat with Theresa about how she balances it all. I am from Beijing, China. My family moved to Singapore in 2013 due to a job opportunity for me to play a regional role in a leading IT company, although I already had a successful career in China. When I was young, I’ve never dreamed of working or living in a country outside China. However, I started my career in multinational companies in Beijing and then pursued my MBA in Liverpool, UK. I enjoy working in a multi-cultural environment since I enjoy dealing with people from different backgrounds and interests. I have twenty years of experience in APAC PR and marketing. I started my career at a small PR consultancy firm, until I realized that I should keep on exploring new opportunities and learning new skills. This motivation continued to push me to pursue excellence at my work. As a result, I developed my career from a small PR agency, to a medium-sized and then to an international agency and finally to the client side. I have also expanded my role to cover China, Greater China and the APAC region today. How do you handle PR and Comms across 12 countries? Theresa prepares for a TV interview. For Criteo’s business, there are two regions in APAC: North Asia, which is composed of Japan, Korea, China, and South Asia, which is composed of multiple countries such as Singapore, Indonesia, Taiwan, Hong Kong, Vietnam, Malaysia, Philippines, India and Australia. APAC is such a diverse region with different languages, cultures, customs, laws and regulations. If I take China, Hong Kong and Taiwan, for example, they all speak Chinese, but they are totally different when both written and spoken. The same press release has be translated and localized into versions for each of the three markets. Due to the diversity, you can’t simply replicate the same success in one market to another. It is important for Criteo – with a global footprint of 30 offices and 2,700 employees – to have a “Global Strategy but Local Act” approach to successful PR campaigns. When we communicate Criteo stories with the media from various countries with different interests and backgrounds, we have to localize our stories to make them more relevant to their audiences. Any memorable PR moments you’d like to share with us? November 11, Singles Day, represents an important seasonality for online shoppers in South East Asia (SEA). Last year, we did a media campaign to share the 11/11 online shopping trends and data with the SEA media. We received overwhelmingly positive feedback from the media. 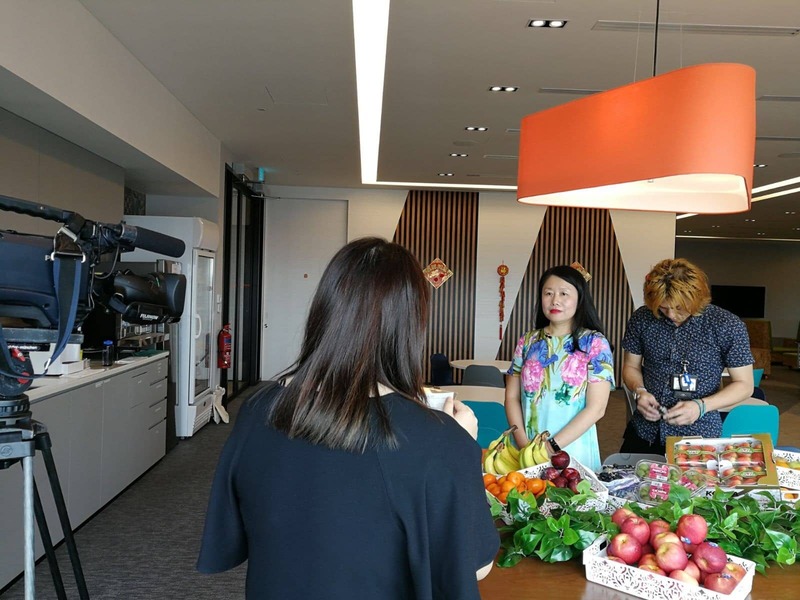 Three live TV interviews were secured with BBC, CNBC and Channel News Asia in Singapore, along with more than 50 media pieces across our strategic markets in the region. This really helped strengthen Criteo’s thought-leadership as a world-leading commerce marketing player in APAC. All the media exposure positively impacted our business growth in SEA in the fourth quarter of 2017. I am really proud that all the hard work has paid off as PR helps drive both sales and business development. How is Corporate Comms and PR handled differently in Singapore vs. China? They are two different but exciting markets. People speak different languages and the market landscape and media environment are totally different. As a global company, Criteo should tell the same stories continuously and consistently no matter in China or in Singapore. The key for success is how to localize and personalize your story to make it relevant to your audience as your target audience would love to hear the local strategies, products and success stories to inspire them. We work very closely with the country and marketing teams to develop local stories, angles and events to generate the local media’s interests. Again, a global strategy with need for local execution. For example, if we look at social media platforms, one of the most popular platforms in Singapore is WhatsApp. In China, it’s Wechat. When we plan the PR/communication plans for these two markets, we should choose the right story as well as the right channels to communicate with the audience at the right time. What’s the top priority for your position now? As the APAC PR and communication head, my job is to build strategic media campaigns to position Criteo as a global commerce marketing leader committed to building an open, third-party ecosystem that helps retailers and brands grow and thrive. Facing a dynamic and diversified region which is composed of many countries, one PR strategy is not going to fit all. The most challenging thing is being able to seamlessly localize our strategies, stories, and communication channels for each market and ensure the messaging is consistent. What do you like the most about Criteo’s culture? 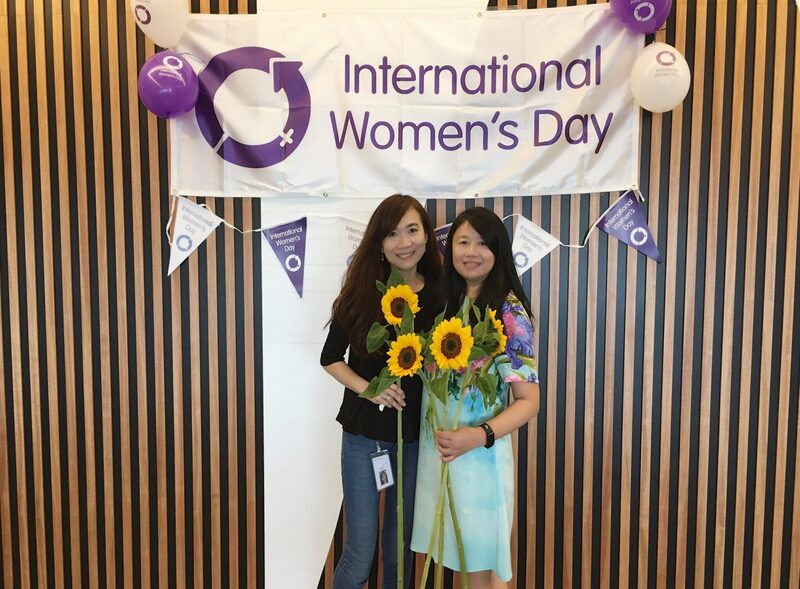 Theresa with Michelle Chua, Sr. Work Experience Manager at Criteo’s International Women’s Day. I believe Criteo is an internalized start-up. It’s great that the culture encourages employees to take risks and embrace changes. In a diversified working environment, we are encouraged to be creative and collaborative. In my past 20 months with Criteo, I’ve seen that the company is committed to building the best place for work with so much variety in the employees’ benefits programs. From DIY coffee-machines and on-site employee massages to Monday team breakfasts and home office day gatherings, our incredible and dedicated work experience teams work hard to create an amazing work environment. No matter in Tokyo or in Singapore, in Beijing or in Seoul, our offices are full of hard work, fun, food, and celebration. I am happy with my career growth since I’ve joined, particularly when the business continues to expand in emerging markets like Vietnam and India. It provides me with a great opportunity to learn and understand those new markets as well as gain new knowledge and experiences. I am also thrilled to join the “Manager Success Series | Career Growth @ Criteo” which was newly launched by the company. The company’s philosophy is to encourage each employee to own their career, which is supported by their managers and resources provided by Criteo including the infrastructure, framework, training and resources. We organized the first-ever APAC Media Day successfully at Criteo Executive Connect in Danang this February. The entire event was highly recognized by our executives, our top customers from the region including Lazada, Expedia, Flipkart, Nykaa and THE ICONIC and the media. We achieved extensive media coverage about Criteo, the Executive Summit and our successful partnerships with leading regional commerce players. It was a proof-point that our commerce marketing ecosystem is growing and embracing more advertisers, publishers and partners to bring a seamless experience to the shoppers with our innovative technology and solutions. I enjoy cooking, reading, Chinese calligraphy and traveling with family. Apart from my job, my family is the most important thing to me. I like to spend my spare time with them, like cooking a nice meal for them during the weekend, arranging an enjoyable family trip overseas to get fully recharged before I take on more challenging tasks. I also make sure to spend my time reading and practicing Chinese calligraphy, which really helps me relax my mind. It is good to have a dream and then take a step-by-step approach to realize it. You may start from the basic foundations, but always do your best to excel at every task assigned to you. The more you do, the more you will learn and the more opportunities will pop up for you. Don’t be afraid to challenge yourself and think of more creative ways to do your job. If your execution is solid, you’ll maximize results for your company. Finally, I fully recommend people lead cross-functional projects or take advantage of job rotation or exchange programs as these opportunities can help you open your mind and expose yourself to new opportunities.